Imagine a whole play on a single sheet! 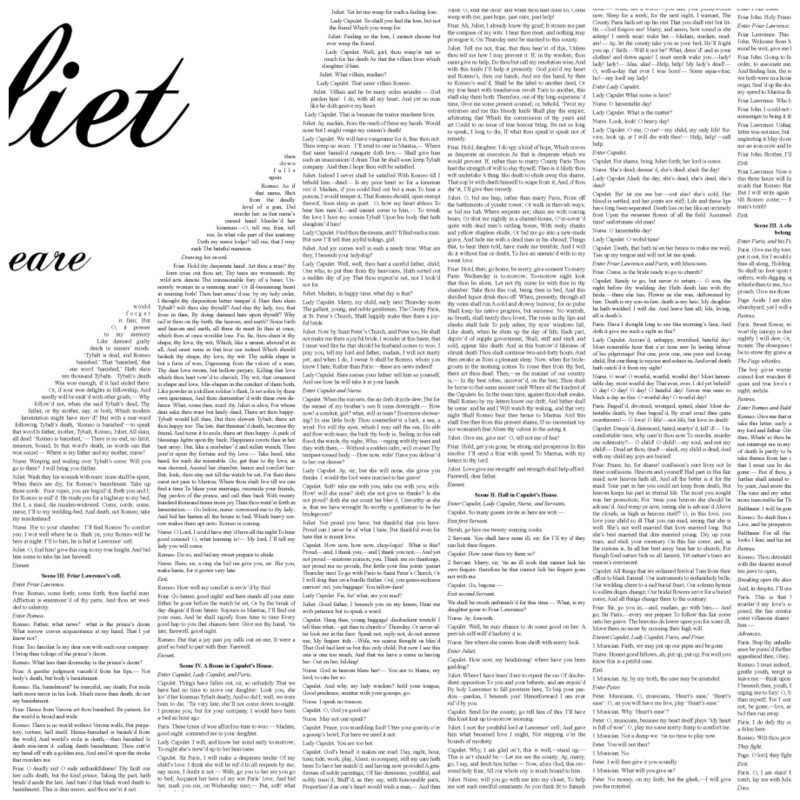 A bold art print on which, up close, you can read the full and complete text of Romeo & Juliet. This is a wonderful piece of art that can bring back memories of a book you loved and happy times or can be given as a gift to create a memory of a special occasion. 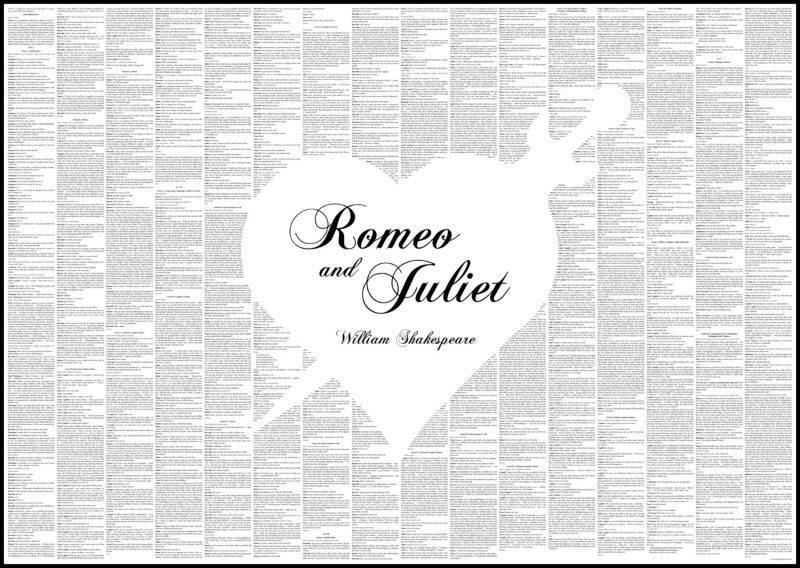 William Shakespeare's famous romantic tragedy tells the tale of the two star cross'd lovers and their mortally passionate affair. Switching between quick-witted comedy, high-blooded action and crushing horror with disconcerting ease, this is one play that transcends the ages and has gripped audiences and readers for over 400 years. 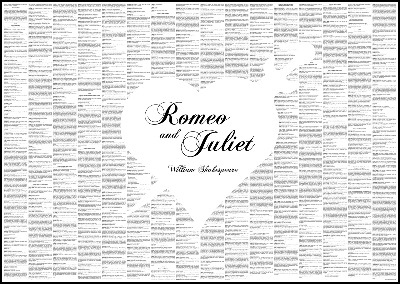 Laid out in prose form, a paragraph for each speech, the entire play is presented with a striking heart-and-dagger design. Produced by Spinless Classics it contains the full text of the book. Where there are shapes in the design, the words wrap to the edges rather than being removed or shaded. The apparent font size is roughly 4 point which is perfectly legible with the naked eye if you have 20/20 vision, or with light magnification if you don't. Comprises 1 sheet, measuring 500x700mm for easy framing.